So whenever a new book comes out, I always head to random bookstores and see if they have my book. If they have my book, I take it out and stick it face out on the shelf. 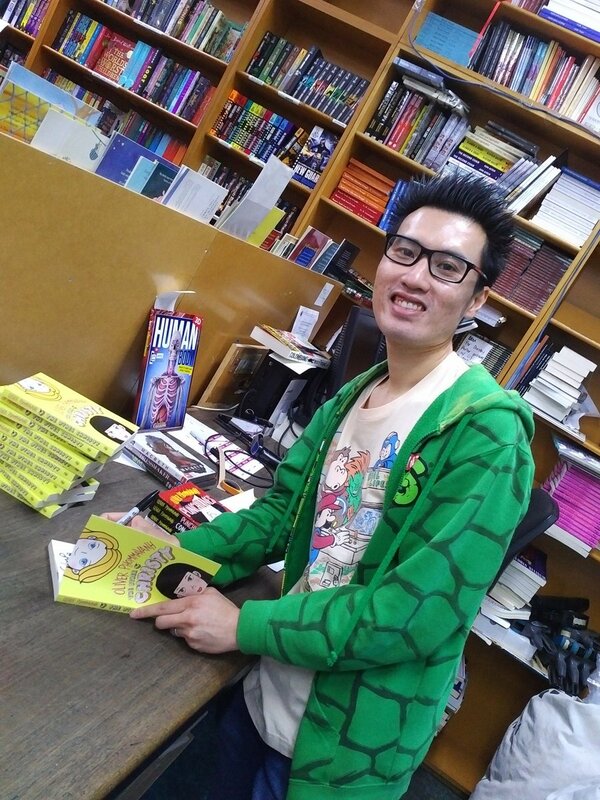 If they have a few copies, I ask the bookseller if I can sign the books. Yes it is kinda awkward but there are a few benefits from doing this. Author Ian Irvine has a brilliant website about the truth about publishing (check it out aspiring writers) and he says that if you sign a book, the bookstore can’t send the book back to the publisher. Sale +1.